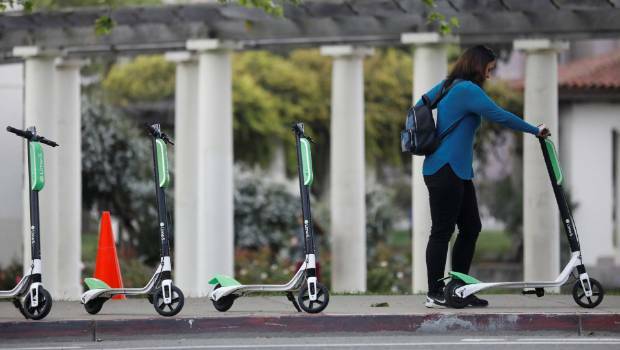 Electric scooters can rented in places in Christchurch. Get on one, go to where-ever and leave it there. Hire another to go home again! Great idea. Hope they work out better than a similar thing in Oz with bikes, most of them ended up in the harbour.